The high seasonal morbidity and mortality associated with both pandemic and seasonal influenza, the continued threat of highly pathogenic avian influenza infections, the development and global spread of antiviral resistance, and the need to plan for future influenza pandemics makes influenza a high priority in infectious disease research. The National Institutes of Health (NIH) is announcing an opportunity for a Cooperative Research and Development Agreement (CRADA) for evaluating influenza vaccines and therapeutics in an Influenza A Healthy Volunteer Challenge Model developed at the National Institute of Allergy and Infectious Diseases (NIAID). NIAID seeks to enter into a CRADA with one or more biotechnology or biomedical companies to use the Influenza A Healthy Volunteer Challenge Model developed for the purposes of developing new influenza drug treatments or vaccines. NIAID’s Influenza A Healthy Volunteer Challenge Model is using challenge viruses which are reverse genetics produced and cell cultured wild-type influenza A viruses for use in healthy volunteers under an Investigational New Drug (IND) application with the Food and Drug Administration (FDA). Currently NIAID has an A(H1N1)pdm09 Influenza virus available under an IND and plans to use its method of reverse genetics and cell culture to produce additional influenza strain preparations, including strain A/H3N2, for use in human studies. 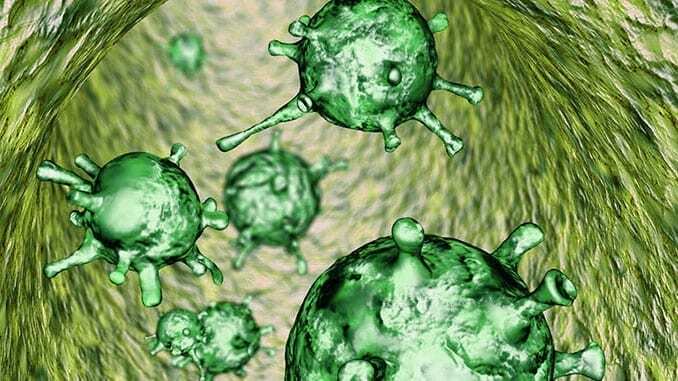 Many important research questions about influenza infection and the resulting immune response can be approached through studies evaluating the impact of influenza vaccines and therapeutics on these aspects of influenza virology. For example, use of an influenza vaccine in NIAID’s Influenza A Healthy Volunteer Challenge Model could further the understanding of what components of the anti-influenza immune response are important for protection against influenza infection. Use of a therapeutic in NIAID’s Influenza A Healthy Volunteer Challenge Model could provide insights on viral titer and length of shedding and their relation to symptomatic illness, and the emergence of strains resistant to such therapeutics. Depending on the nature of the vaccine or therapeutic being evaluated, broad scientific questions regarding influenza virology and immunology, not limited to the above examples, could be explored. The first challenge virus, A(H1N1)pdm09, has been evaluated in the NIAID’s Influenza A Healthy Volunteer Challenge Model and an optimal dose as well as methods of performing this type of study have been established. This validated model of infection in these volunteers will allow more efficient and cost-effective phase II clinical evaluation of antivirals and vaccines, as noted above, as well as an opportunity to study correlates of protection and the natural history and pathogenesis of influenza in a controlled setting. In NIAID’s model, the timing of exposure will be known, a standard dose identified and used, and many other potentially confounding variables controlled for. CRADA partners will be expected to have their own drug or vaccine well characterized, to have Phase I testing complete, and to have their drug or vaccine approved under an FDA IND prior to clinical studies beginning with the NIAID Influenza A Healthy Volunteer Challenge Model. CRADA partners should also have the capacity to recruit volunteers, to provide clinical facilities, and to provide the personnel required to conduct the research, all in coordination with the NIAID principal investigator. In addition, it will be expected that the collaborator would provide funding to supplement the NIAID principal investigator’s laboratory budget to support this project. Further details are available via Solicitation Number: NIAID-TTIPO-2012-002. The response deadline March 15, 2018.